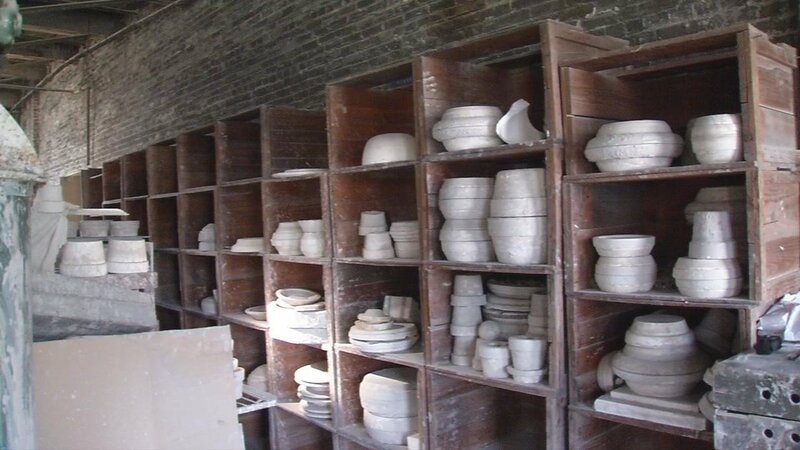 LOUISVILLE, Ky. (WDRB) -- A historical Louisville business known for its treasured pottery is fired up about a change putting it back in local hands. "It always felt like it was a family business," said Jerry Day, who has been with Hadley Pottery for 44 years. And Day's family has been with them since the beginning -- almost 80 years ago. "My granddad helped start it up with Mrs. Hadley," Day said. Together, Day's grandfather and Mary Alice Hadley began molding their own business. "He did the mold making and pottery making and she did all the designs and things," Day said. After decades of staying local, the business spun out of local hands. A St. Louis company bought Hadley Pottery nine years ago, but recently put the business in the kiln and up for sale. That's when Jerry and his son, Josh, took advantage of the opportunity to buy it, and are now painting a new picture for the business to bring Hadley's back into focus as a "local" business. "Me and Josh thought it'd be nice to own it if any way possible," Day said. Mayor Greg Fischer talked about the company's rich local heritage during an Aug. 2 walking tour. "Hadley Pottery has a special place in the history of Louisville," Fischer said. Fischer has family ties to the historical Hadley's. "My mom's Hadley Pottery collection is something she's always been very proud of, and something that has trickled down to the kids," Fischer said. And now the city has an original piece recently uncovered to start its own collection. "They presented us with -- kind of a relic now -- a beautiful, old ashtray," Fischer said. "It's got the beautiful city of Louisville seal on it with Mary Alice Hadley's signature -- original signature -- on the back, so we'll put that in the city archives. There's a lot of Louisville love at Hadley Pottery." Hadley Pottery is giving back locally in celebration of the new ownership by donating a portion of the profit from each pet bowl sold to the Kentucky Humane Society.